I used this with my adult elementary students to introduse COMPARATIVES. 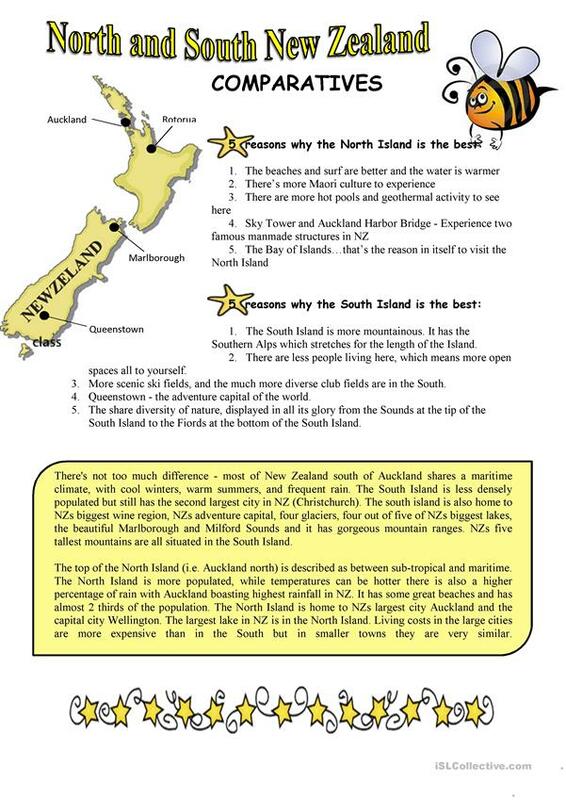 Info about North and South New Zealand, comparing different areas. It was really fun! I hope you like it. :) Best regards! The present downloadable worksheet is a great resource for high school students and adults at Elementary (A1) and Pre-intermediate (A2) level. It is great for teaching Comparison (comparative and superlative) in English, and can be used for working on your students' Speaking skills.